Date Nut Rolls 16 oz. 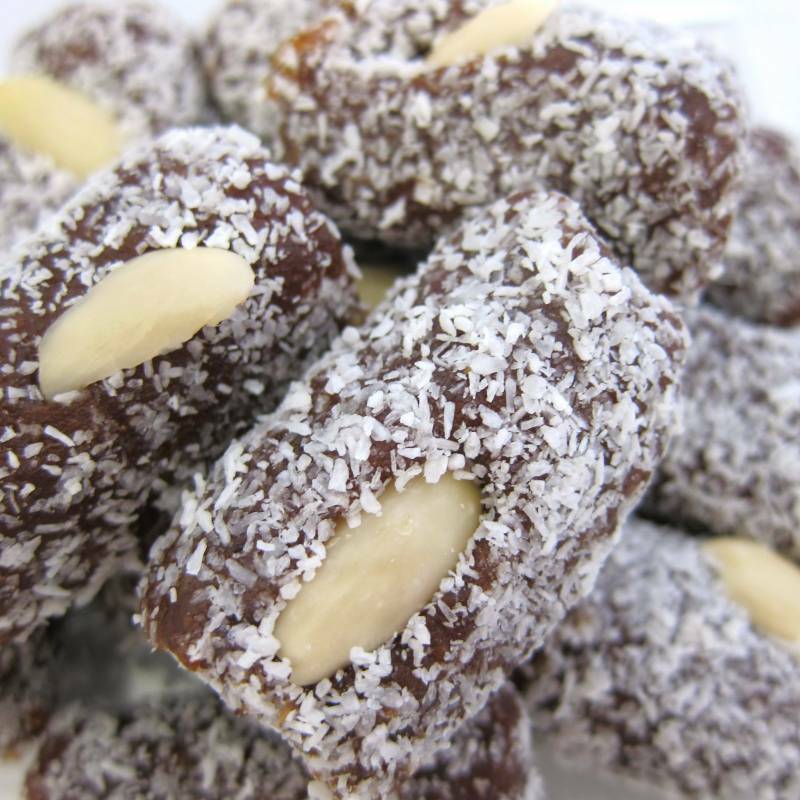 Date pieces rolled in coconut and topped with an almond. Sweet and nutty! Full of nutrients and fiber, these sweet treats are as beautiful as they are delicious. Enjoy some for a healthy dessert. No chemicals or preservatives added; Kosher certified; Non-GMO; Gluten Free.